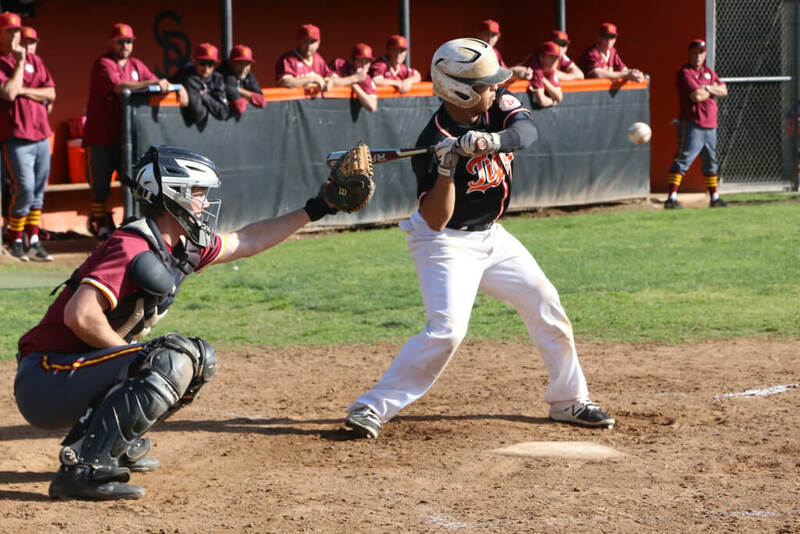 Varsity baseball chalked up its seventh win of the season after defeating Eagle Rock High School at home by a score of 11-7 on Tuesday, April 11. Although the win did not count for league, South Pas was able to experiment with its lineup by bringing up JV players to compete in a varsity atmosphere. The Tigers took the field with a mix of varsity and JV players. For three innings, South Pas held the Eagles scoreless with good communication among the basemen as well as solid pitching. The Tigers chalked up their first run when sophomore Dylan Benton brought home senior Kevin Park. South Pas managed to score a second run coming from junior Jackson Totleben with the help of junior Matthew Walker’s RBI single. Park continued to put the Tigers in scoring position after tripling and bringing home sophomore Noah Parker for a 3-0 lead. Eagle Rock fired back with a run of its own, and followed by loading the bases. However, the Eagles failed to capitalize on the opportunity. Moving into the fourth inning, junior Isaac Luevano struck gold with a triple and two RBI’s to bring senior Tucker Judkins and Parker home. The Eagles weren’t fazed by the Tigers’ 6-1 lead, and countered with a six run inning to give them the lead at 7-6. South Pas responded with solid hitting and smart playmaking to load the bases. The Eagles pitcher walked two players and allowed another base hit to give the Tigers back the lead at 11-7. Coupled with solid defensive plays, South Pas capped off the next two innings and took the win. The Tigers return to league play against La Canada High School, away, on Friday, April 14 at 7:00 p.m.